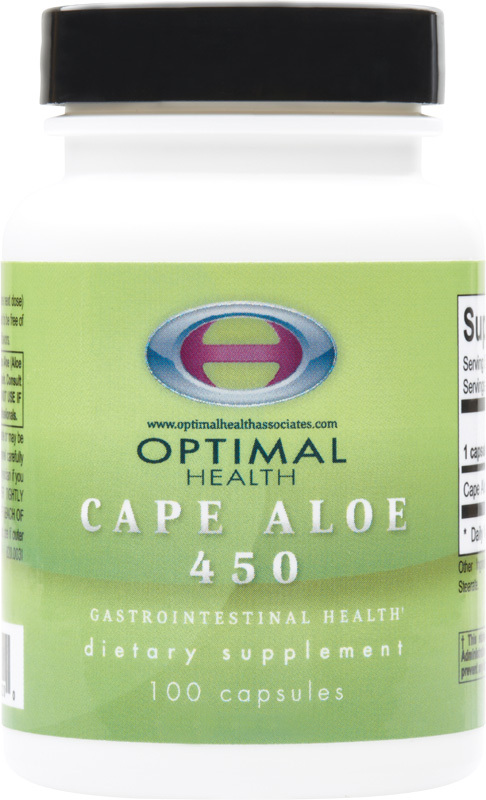 Cape Aloe is intended for the relief of occasional constipation. Cape aloe, the solid residue obtained by evaporating liquid aloe vera, has been shown in research to affect regularity, due to its influence on colon peristalsis, which it triggers to contract, resulting in accelerated intestinal passage. Super Aloe is available as 250 and 450 mg capsules, two potencies to provide tailored natural support for elimination. Overview Cape aloe has been used for thousands of years to promote the health of epithelial tissue, including the bowel lining. Cape aloe is one of a class of compounds called anthraquinone glycosides. When ingested, these molecules are activated through bacterial metabolism in the gut. They promote water retention in the stool and stimulate peristalsis in the large intestine. By stimulating active chloride secretion, aloe increases the water and electrolyte content in the stool1-4 and eases its passage without the artificial additives and associated cramping common to other therapies.